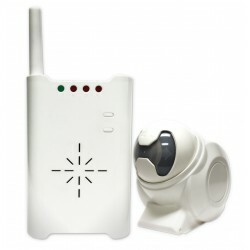 A burglar alarm is designed to detect intrusion or unauthorized entry into a building. They are often used in residential, commercial, industrial, and military properties for protection against property damage or theft, and may also be used as personal protection against intruders. 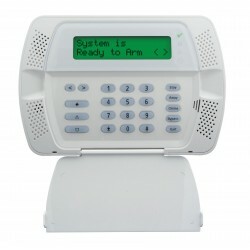 An alarm includes a panel, and keypad to activate and deactivate the alarm. Alarm systems use sensors to detect the intrusion, whether an intruder, water, or smoke. We recommend that the alarm system is monitored by a central station. 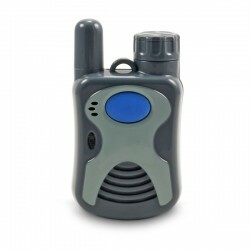 This allows the central station to receive signals from the alarm through phone, internet, or cellular communications, and contact the owner, or dispatch the proper authorities in the case of an alarm, or other emergency. This also allows the system to be tested on a regular basis to ensure everything is working properly. *Please be sure to check if there are any alarm by-laws in your area. Alarm Systems There are 6 products. Hardwired Alarm Systems are wired from the alarm panel to each component. These sensors receive their power from the main panel, and require no batteries. The wire must be fished from the panel to the actual sensor through the wall, attic, basement, or other unfinished space. A hardwired alarm system may also be roughed-in during construction. Wireless Alarm Systems are wired from the power and telephone to the panel. The keypads, sirens, and sensors may all be wireless. Wireless alarm components require batteries. Depending on the distance and construction materials, wireless repeaters may be required. A wireless alarm system may be installed at any time, even in a completely finished and/or unfishable home or business. 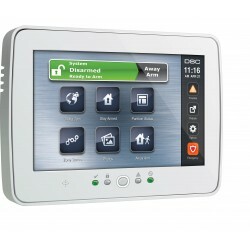 The DSC Power Series Self-Contained Alarm Systems have up to 32 wireless zones, and 16 wireless keys. The power series self-contained alarm system has the smallest footprint of any self-contained wireless alarm system, and includes a built-in siren. All additional sensors are wireless. The DSC Maxsys Alarm Systems have up to 16 on-board zones, but are expandable up to 128 zones using hardwire, wireless modules and addressable zones. 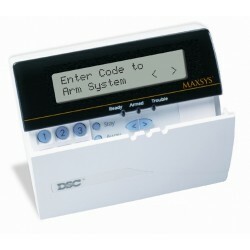 Maxsys alarm systems also incorporate access control. Hardwired components may be wired to the Maxsys panel. The standard DSC Power Series Alarm Systems have up to 8 on-board zones, but are expandable up to 64 hardwired and 64 additional wireless zones. Power Series will integrate with Interactive Video, and Home Automation. Hardwired alarm components can be wired to the Power Series panel.